Nocatee Movers | NO Fuel or Travel Charges. Call For A Free Quote! Are you looking to move in the Nocatee area? 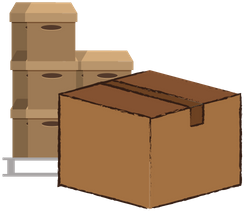 St. John’s Moving and Storage is here to solve your moving dilemma. With the dozens of companies willing to approach you for your business, how do you choose from the different Nocatee movers? There are a few things to look for when shopping around for moving services. For one, are they insurance backed and offer a guarantee? Do they have you covered if anything goes wrong? Do they wrap everything and make sure furniture and valuables are properly padded? A lot of companies unfortunately cut corners or don’t have enough people on hand to do the job fast and reliably. At St. John’s we are all of the above and more! Our Nocatee movers are insured and offer a safe and secure guarantee. Our movers are experienced, pass full background checks, and are trained by us to do the job our way. We put the excellence of the experience for our customers first with courteous movers who are there to help. Our goal is that your move is both stress-free and a pleasurable experience. We make sure to shrink wrap and pad all furniture. We will get your belongings moved in the same condition that it left in. We will also help you pack so that you have less to worry about. And we won’t require you to empty your drawers. We will secure all drawers and cabinets so you don’t have to waste hours packing and unpacking them. You have enough on your mind when it comes to moving, your Nocatee movers don’t have to be one of them. With St. John’s Moving and Storage your stuff is the one thing you won’t have to worry about. Once you call us we will show up with enough movers to do the job quickly, efficiently, and carefully. We hold all of our movers to high quality and safety standards. We won’t rush the job, but we won’t ‘bleed the clock’ either. Why choose us for your Nocatee move? 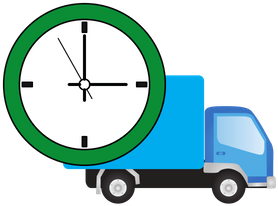 We offer both local and long distance moving services, so whether you are moving a few miles or a few hundred miles, you are covered for the long-haul. Let’s get your move going today! Just give us a call, answer a few questions, and we will be able to give you a Free Estimate right on the phone. Your move will be handled with speed, skill, and experience! We service the following zip code in Nocatee: 32081.